Oak Spindles 11-1/4" by 7/8"
I have just finished building a cradle for my first grandchild using these oak spindles and was very impressed with them. 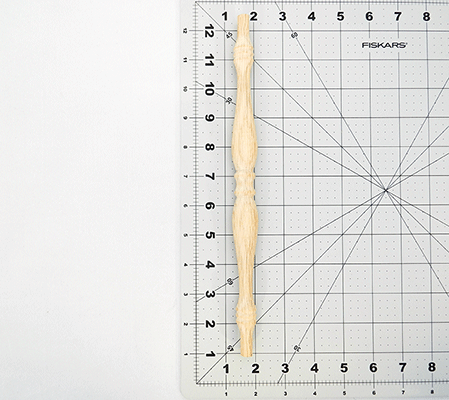 One of my decisions when starting the project was whether or not to turn my own spindles. Checking the internet first, I found these and given the price, ordered them. They arrived quickly, were as advertised and ready for finishing. Excellent value. Additionally, a small issue when ordering on line was met with a prompt response from the company; much appreciated. The craftsmanship, quality, and beauty were all top notch. I was very excited when I found your web site. You carry nearly all of the items I need for the things I build. The spindles were for a baby craddle I am making and everywhere else I looked they were too short, too fat, or just plain too ugly. I'll be recommending your web site to all my friends and sure to use it for all my future needs. Thanks for the help completing my project. All aspects of the transaction completely satisfactory, including the quality of product. Exactly what I ordered and needed to complete the craddle I am building for my grandbaby! 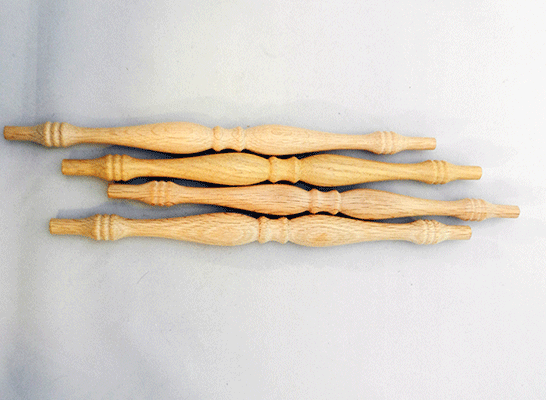 Quick and courteous response for these quality dowels.